The Ionic 41 Series Running Boards are made of top of the line material, making these perfect for any location! Extruded Aluminum with Stainless Steel trim make these boards super strong, and easily cleanable, and provide an excellent look for any vehicle. These boards have an ultra wide, 5 inch step for every door, providing a premium no-slip stepping surface that's safe for anyone in the family. Every Ionic running board ships with two bars, as well as any brackets and hardware needed for installation. The Ionic 41 Series Running Boards come with a limited lifetime warranty! If you're looking for a lot of class and a little sass, then you need to check out Ionic 41 Series black running boards. They will give your truck or SUV a classy look, while having some sassy components. What I mean about that is that these side steps are constructed out of extruded aluminum, but also include stainless steel trim along your boards. Ionic 41 Series black running boards are five inches wide to give you a no-slip surface that is safe for you and your family or friends. There is drilling required on some applications, but not all. 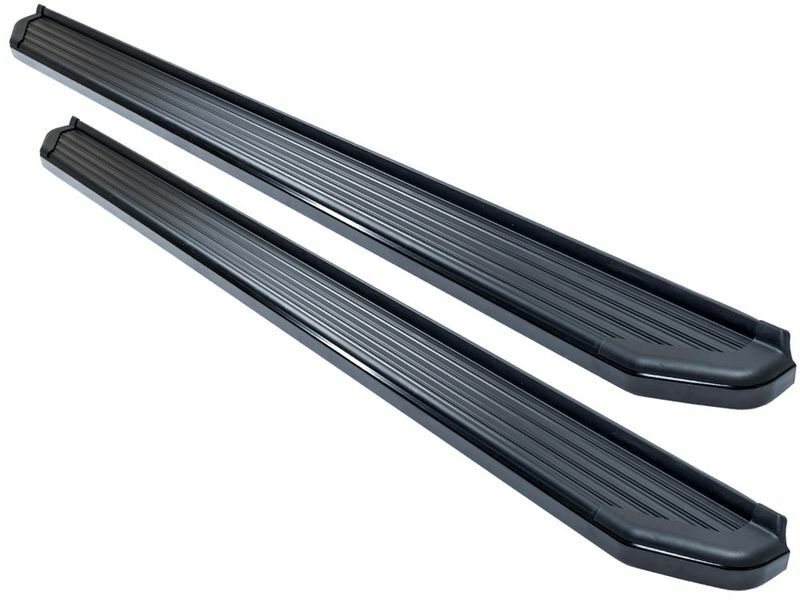 You'll be able to install these running boards at home in no time. Boost the look of your truck or SUV with Ionic 41 Series black running boards.